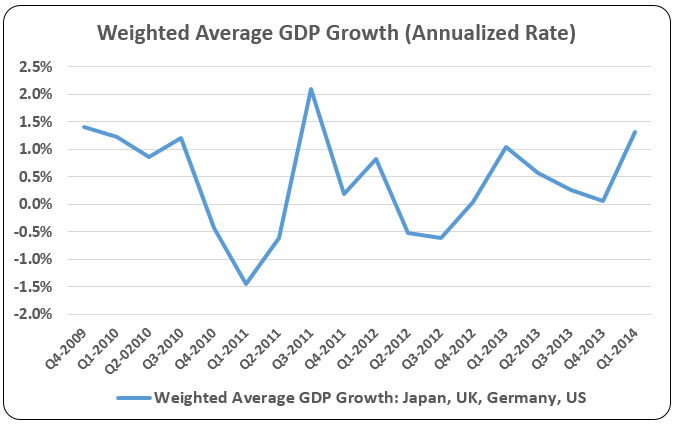 Home > Market Commentary	> Can Chanting “Accelerating Growth” Long and Hard Enough Make GDP Grow Faster?? 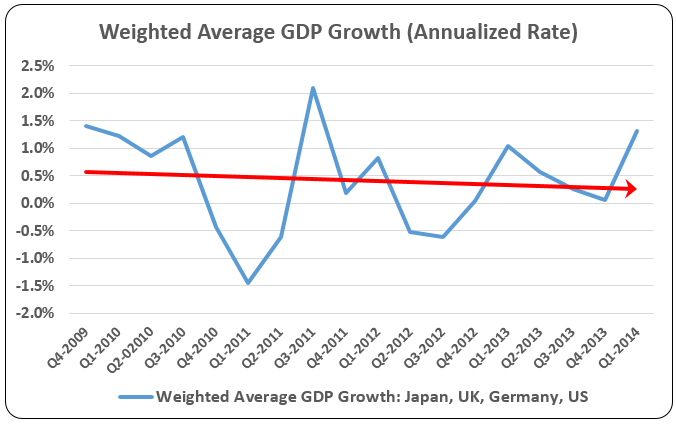 Can Chanting “Accelerating Growth” Long and Hard Enough Make GDP Grow Faster?? Phil Davis has a great post this morning (07.23.14) where he discusses the financial media’s distorted reporting of GDP growth in the US and around the world. He specifically cites a Bloomberg article that references “accelerating growth.” Let’s look at a couple of graphs and watch as GDP growth accelerates. 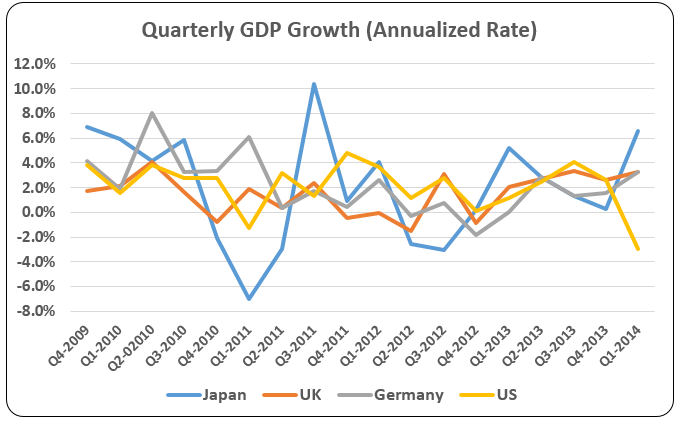 First graph below shows quarterly GDP growth in Japan, the UK, Germany and the US since the 4th quarter of 2009. Adding to Phil’s point: if the trendline points downwards, but the financial media calls it accelerating, then it must be so. Dissent at your own peril.